Republican Senator Jeff Tarte of Mecklenburg County speaks with WFAE's Marshall Terry. State lawmakers were in Raleigh to deal with House Bill 2 again Wednesday. The purpose in calling the special session was to repeal the legislation, but that didn’t happen. We're hearing from different voices in that debate. We spoke with Democratic state Senator Jeff Jackson of Mecklenburg County. He said lawmakers had a deal to repeal HB2 and Republicans broke it by attaching a moratorium that bans municipalities from enacting any anti-discrimination ordinances for 180 days. In this interview, Republican state Senator Jeff Tarte of Cornelius says he was optimistic the repeal of HB2 would go through when the day began. But that faded after Republicans added the moratorium, to give the legislature time to "reset" without fear that municipalities would enact anti-discrimination ordinances before lawmakers could tackle the broader issue during the long session that begins in January. In the interview, Tarte began by pointing a finger at Democrats. “Had enough Democrats voted with the half of the senate GOP members. 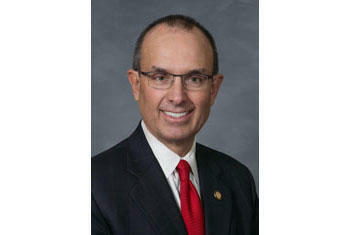 HB2 would be repealed today,” Tarte said. He said Republicans wouldn’t have called the special session if they didn’t think they had the votes to pass it. Tarte said he supported the deal - full repeal of HB 2, with full repeal of the Charlotte ordinance. When word came out that Charlotte may not have fully repealed its rules, “That’s when it started going sideways,” Tarte said. Charlotte did meet first thing Wednesday morning to re-do its repeal, in a broader way. Council members said they didn’t mean to break the deal. And unlike Charlotte’s earlier repeal on Monday, they took out a key requirement: That the legislature repeal HB 2 by Dec. 31 or their own repeal would be nullified. But that wasn’t the only concern, Tarte said in the interview. Republicans learned that a city councilor in Durham might be planning to introduce a Charlotte-style non-discrimination ordinance there. That would’ve revived the battle, and meant “HB 2-dot-1,” Tarte said. That’s why Senate leader Phil Berger introduced the moratorium. “The idea was, let’s literally chill out, let’s reflect on where we are” and take up the larger issues later, during a full session, with full committees, Tarte said. Republicans have enough votes in the legislature to pass any legislation they want. So, Tarte was asked, why turn to Democrats to pass it? Tarte says though much of the attention about HB 2 focused on the provision barring transgender people from using the bathroom of their gender identities, the larger debate that needs to happen isn’t about that. “Transgenders aren’t a problem in bathrooms and stuff. They never have been and they won’t be,” Tarte acknowledged. This is really central around the issue of do we add sexual orientation, gender identity and the other areas around the LGBTQI community as a protected class. That’s really the debate and the dialogue that we’ve all gotta get our arms around,” he said. Tarte said he hopes the legislature can reach a consensus to repeal HB 2. It’s not a good issue for North Carolina Republicans and its unintended consequences – lost jobs and tourism – are too costly. The bill could come up in the long session of the legislature, which begins Jan. 11. Dec. 22, 2015, WFAE.org, "Dem Sen. Jackson: Lawmakers Had A Deal And Republicans Broke It."